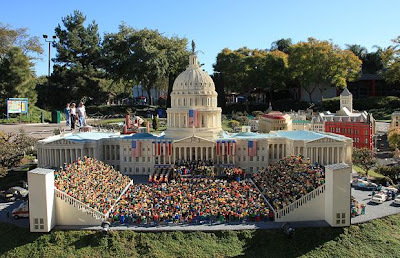 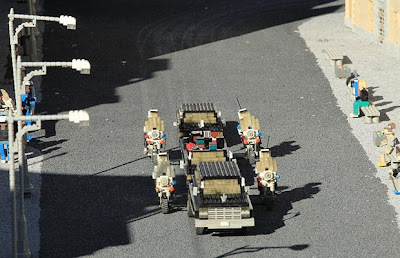 Thousands of tiny people have gathered to witness the historic Presidential Inauguration of Barack Obama in Legoland, California . 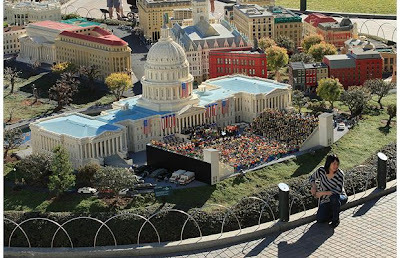 The Carlsbad theme park has received a Presidential makeover as the world awaits Obama's swearing-in on 20 January . 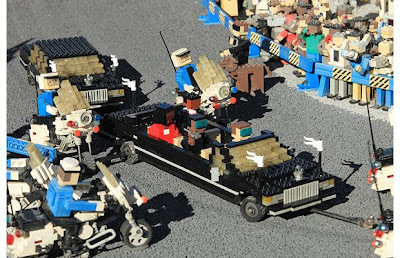 Over a thousand figures and hundreds of thousands of bricks have been used to create the scene as Lego designers have imagined it. 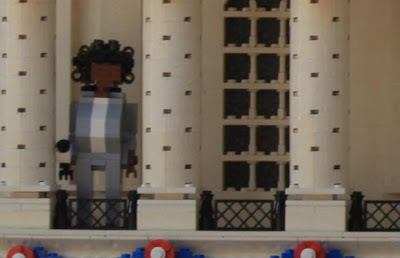 Obama's wife, Michelle, and his daughters, Sasha and Malia, are depicted as he takes the presidential oath on the steps of the Capitol . 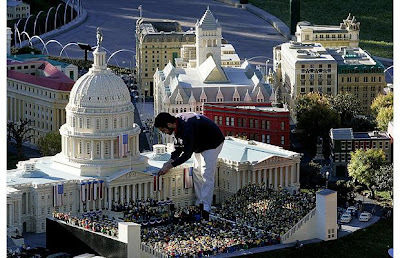 .... though it's unlikely any giants will be witnessed on 20 January. 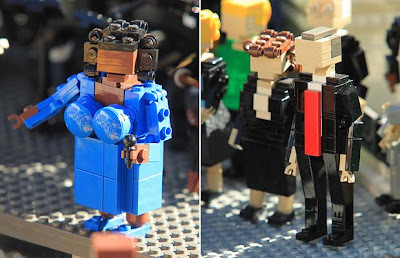 ... and cheering crowds lining the street, all hoping to catch a glimpse of the plastic President . 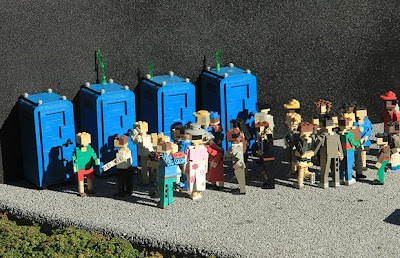 No detail is ignored, there are even four portable toilets for desperate spectators. 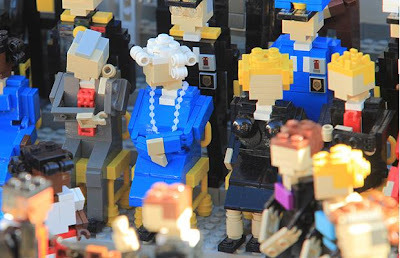 We've got a feeling that queue won't be moving very fast . 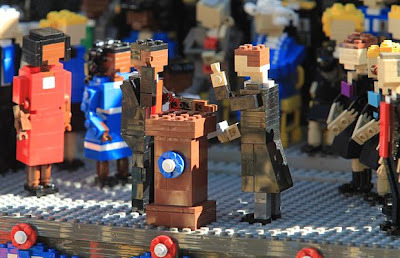 The Legoland Presidential Inauguration features one major difference from the real thing. 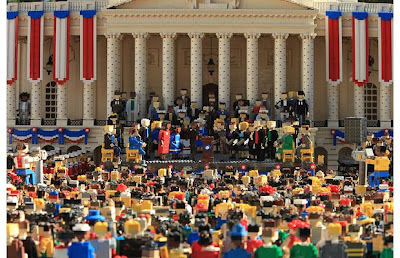 The Lego president-elect is being sworn in on the front steps of the Capitol building, instead of the back, to allow more visibility for visitors . 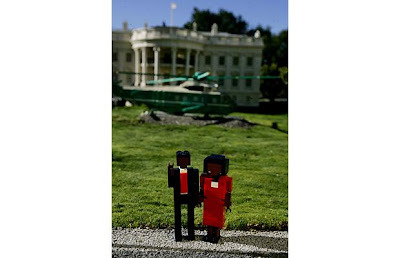 The inauguration will remain on display at the Legoland California park until the end of May, by which point the Obamas will have taken up permanent residence at the White House .